In a previous blog, we discussed how increasingly, social media impacts personal injury claims. Both plaintiffs and defendants sometimes rely on social media posts as evidence pertaining to a plaintiff’s alleged injury and associated change in life style, resulting from their accident. However, more often than not, it is the defendant in a personal injury claim who points to Facebook posts and other social media updates that suggest that the plaintiff is engaged in active and fun activities, and therefore their injuries are not as serious as alleged. 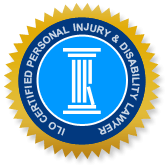 Anyone who was injured and is considering, or has commenced, a claim for damages arising from an accident, should avoid social media updates -- photos or verbiage that reflects that they continue to be active or are enjoying themselves may be used to challenge their claim of injury and suffering. Social media posts, like video surveillance evidence, showing a plaintiff engaged in shovelling snow, outdoor activities, or partying with their friends or family, may not only suggest that their injury has not effected a change in their lifestyle (and has therefore not resulted in a loss) but may, in some cases, also show that the plaintiff is not following their doctor’s advice. If, for example, a doctor has cautioned the accident victim to refrain from certain activities than may impede their recovery but there is evidence that they are not following their doctor’s advice, a defendant can claim that the plaintiff is responsible (at least in part) for their current severity of injury and lack of recovery. In a 2007 trial, Nemchin v Green, the defendant in a personal injury action sought to have about 20 posts from the plaintiff’s Facebook page entered as evidence. The plaintiff objected to cross-examination on the content of their posts, due to the defendant's failure to disclose their intent to produce this evidence at trial. In September 2015, about 17 months before the trial, the defendant’s counsel sent a letter to counsel for the plaintiff stating, “Your client has taken down her Facebook page. She has also deleted relevant content from her various social media accounts. Please ensure that [the plaintiff]’s social media accounts and all content are reinstated and preserved immediately." Counsel for the plaintiff agreed to reactivate the plaintiff’s Facebook account for an 8-hour-period, to allow the defendant to access and save any posts, photos and pages they wish, and also requested that the plaintiff be provided a copy of any information that was retrieved. The plaintiff also requested that the retrieved information be added to the Affidavit of Documents. The defendant made an ‘Agreement’ on these terms, and it was estimated that hundreds, if not thousands of pages were saved by the defendant on a disc. Inadvertently, a copy of the retrieved data was not provided to the plaintiff or noted on the Affidavit of Documents. The plaintiff did not learn that the information had been retrieved until after cross-examination of the plaintiff began during the trial. This retrieved information was distinct from other Facebook materials that were previously disclosed in the course of the litigation. The issue in the 2017 trial is whether the defendant is entitled to rely on the posts retrieved under the ‘Agreement’. The defendant argued that the contents of the plaintiff’s Facebook page were always in the possession of the plaintiff and the plaintiff has an obligation to produce portions of her Facebook account that have relevance to the issues in the action. The defendant alleged that the fact that the plaintiff did not earlier produce these posts constitutes a failure to fulfill her disclosure obligations under the Rules of Civil Procedure. Counsel for the defendant suggested that the plaintiff take a break in cross-examination to review the posts, after which time the posts could be referred to in cross-examination. The plaintiff took the position that she never considered the posts to be relevant to this action, which is why she did not include them earlier in her documentary disclosure obligations. The plaintiff’s claim alleged that she is suffering from post-traumatic stress disorder (PTSD) as a result of the accident and as an injury, PTSD is essentially invisible, so evidence of the plaintiff’s activities at any particular time is not indicative of the existence or severity of her PTSD symptoms. For this reason, the plaintiff took the position that the Facebook pages that are the subject of this action are not relevant to the issues in this case. The plaintiff further argued that preparation for her case relied on an understanding of the documents disclosed prior to the trial. Without pre-trial copes of all posts to be included as evidence, the plaintiff was not able to call expert witnesses or medical experts to testify with respect to the content of the posts, nor could she properly review the posts before testifying. At the time when the issue of the Facebook posts arose, the plaintiff had already been in the witness box for more than 3 days and one of her expert witness had testified. The plaintiff’s final argument was that the late introduction of these posts precludes her from considering them prior to trial, within the context of settlement negotiations. The judge found that the defendant’s failure to disclose the retrieved Facebook materials fell below the standard of ‘full and rigorous compliance’ with respect to disclosure obligations pursuant both to the ‘Agreement’ and the Rules of Civil Procedure. Accordingly, the defendant is not entitled to rely on the posts for the purpose of cross-examination. It was noted that although the plaintiff took the position that her Facebook posts were not relevant to the issues in this action, she did not deny the defendant access to the account. The judge agreed with the plaintiff that to proceed as proposed by the defendant would result in prejudice to the plaintiff, as she would not have sufficient time to properly review the posts before resuming cross-examination and her experts would also not have a reasonable opportunity to review and comment on the posts. Further, the interruption to the trial to facilitate that review would be disruptive and inefficient, as well as unfair. Although the court ruled in favour of the plaintiff in this action, this case brings attention to the fact that even deleted social media posts may be sought as evidence in a personal injury claim. This means that accident victims should not ‘put a good face’ on their injuries and life style after an accident. The most prudent course of action is to stop posting social media updates, but at a minimum, you should ensure that all posts reflect the true severity of your injuries and diminished ability to function.